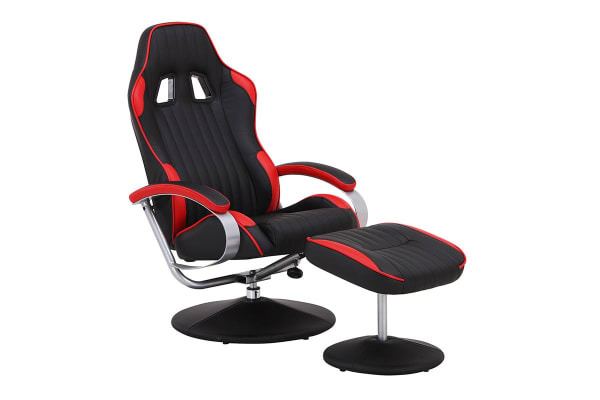 This plush bucket style Racing Chair Recliner lets you get seriously comfy as you work or enjoy your favourite movies and video games! Enjoy the same comfort and flair as race car drivers when you bring home the Ergolux Racing Chair Recliner with Ottoman. 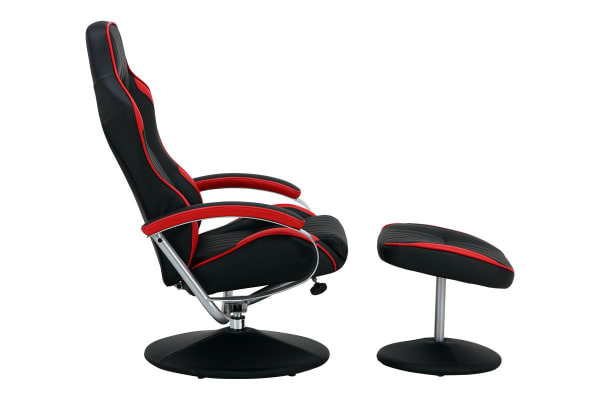 Inspired by racing car seats that cater to the tastes of motor enthusiasts, its bucket-shaped seat and recliner feature make it ideal for people who just love to relax in ultimate comfort and style. Get truly comfortable as you watch your favourite movie and if you find yourself getting a little sleepy, just prop up your feet, recline and doze off! Premium materials used in the construction of this chair give it its classy looks. 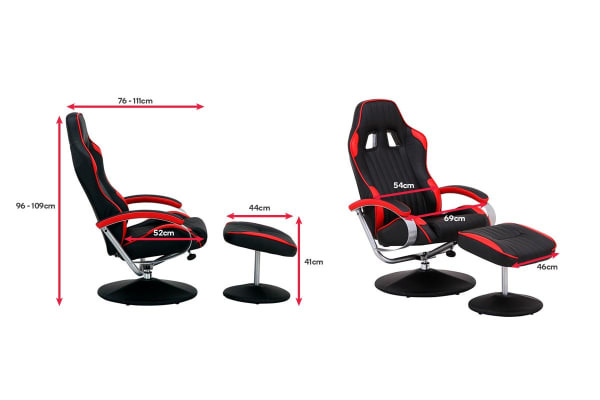 The durable PU material that covers the seat, armrests and the separate ottoman are totally fuss-free when it comes to maintenance and cleaning. If you spill your drink, don’t fret! A simple wipe is all that’s required to get it cleaned up, now all you need to do is kick up your feet after a long hard day and sink into the luxury that this comfortable chair affords.